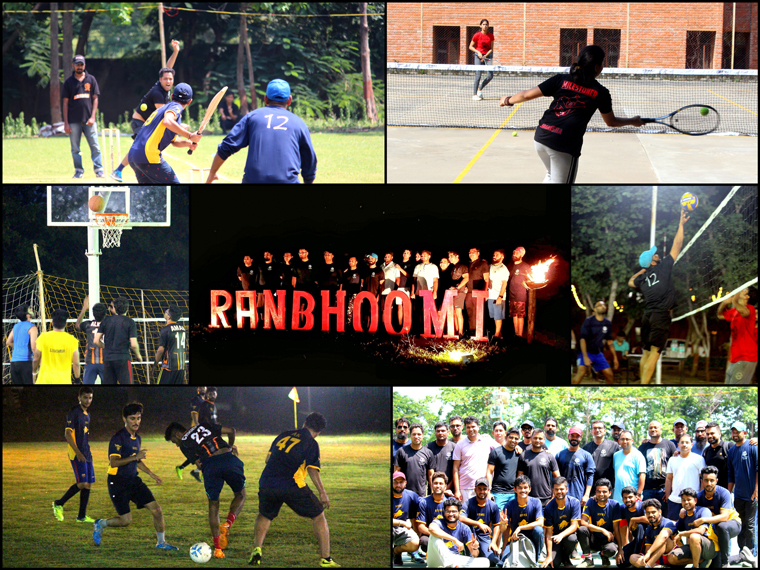 IMT Nagpur witnessed the most anticipated annual sports event, ‘Ranbhoomi’ organised by the Sports Committee. All the sports enthusiasts poured onto the field for this two-day event from September 29, 2018 to September 30, 2018. Eight teams put their best foot forward in the event competing against each other and showed true sportsman spirit in games like throwball, cricket, football, basketball, lawn tennis, table tennis to name a few. The event saw a power packed combination of our alumni and students performing on the battlefield. This set the tone for an evening filled with companionship on the sports field. Team Asterions were declared as the winner, followed by Wolfpack who were rewarded with cash prizes.